I love coffee. I used to be a double double girl but now I love it black. I love lattes too and whipped cream just makes it more special. This is a great birthday card for any coffee lover in your life. 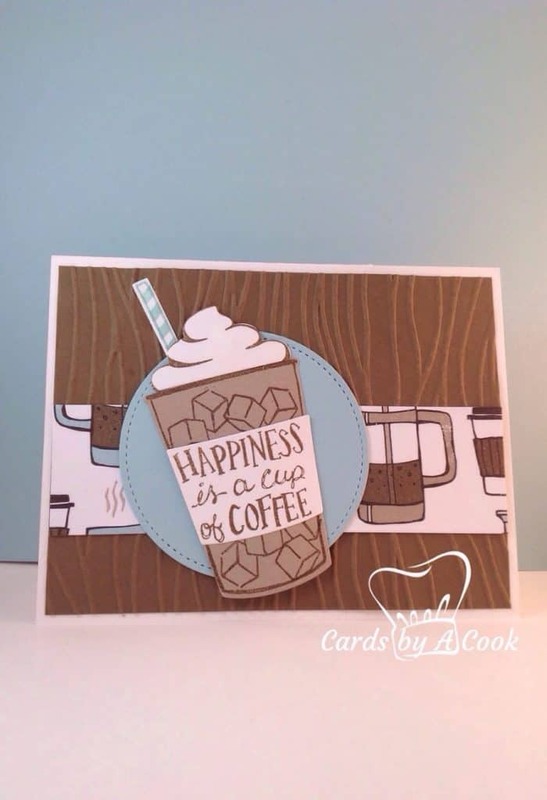 I gave this card out for a birthday back in August so made it into an iced coffee. 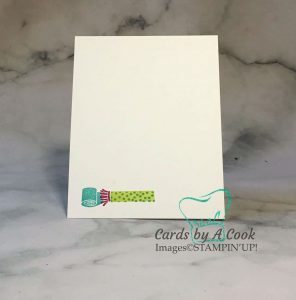 The Stampin Up! set Coffee Cafe’ includes everyhong you need and it comes with matching framelits so you don’t need to cut it out. 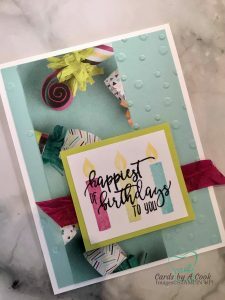 I used the coordinating Coffee Break designer series paper and cut only the pool party parts so that I could stick to two colours. I didn’t waste much paper at all though…as underneath the coffee cup is split in two rather than one large piece.